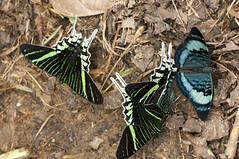 The Green-banded Urania (Urania leilus) is a day-flying moth of the Uraniidae family. It is found in tropical South America east of the Andes, including Suriname, French Guiana, east Colombia, Venezuela, east Ecuador, Brazil, north Bolivia, east Peru, and Trinidad. 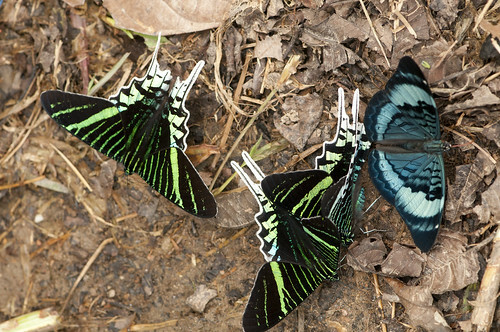 The habitat consists of riverbanks in primary and secondary rainforest at elevations between sea level and about 800 m.